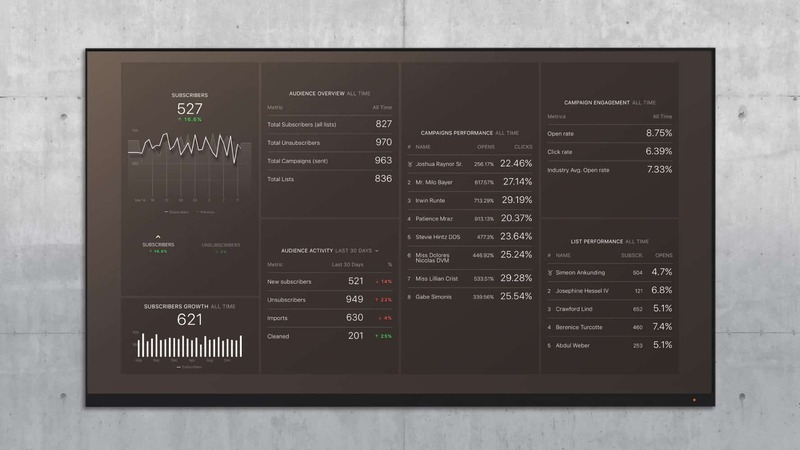 If you do not have a process for sharing your marketing success with clients, these 5 automated dashboards are a great place to start. Client reporting is often a painful process that many agencies don’t bother to do. We don’t blame you. Historically, it’s a real pain in the keister. Most agencies must log in to each marketing service, find their KPIs, and paste them into a big marketing KPI spreadsheet. Or, you might take screenshots of a page from each marketing service you use, then paste them into a Powerpoint. We’ve spoken to many agencies who stopped doing this manual reporting (or never started) because clients stopped looking at the reports. And even if you create real business value for your clients, manual, periodic reporting is a horrible way of showing it. Fortunately, automated dashboard tools now allow agencies to avoid spreadsheets and slides entirely. Dashboards allow you to format a report with the data you desire, then share a URL that’s always up-to-date, or encourage your client to download a mobile reporting app to check it whenever, wherever they are. Coupled with the right monitoring and communication tools, goal achievement, analysis and recommendations can be shared in real-time too. Surprisingly, the answer is pretty simple and consistent, especially for smaller agencies serving smaller clients, since there are a handful of tools almost every business uses like Google Analytics, social media sites, Adwords, Facebook ads and Mailchimp. Problem It Solves: Many marketers use the A-B-C framework to evaluate web traffic. A stands for acquisition, or how successfully you bring people to your domain. B stands for behavior, or the actions visitors take once they enter your domain. And C stands for conversion, or whether they actually complete the goals you have set up. This dashboard focuses on A and B. It tells you where your visitors come from, and whether they stick around to view multiple pages and read your content. It will help you determine if you have a compelling site experience before you begin to look at conversion. How To Use It: The Users graph and Top Sources by Sessions table will tell you where your visitors come from. You can use these to determine which channels yield the most traffic. The bottom 3 metrics- Average Session Duration, Bounce Rate and % New Sessions- tell you if your changes to the website have increased site engagement. How do your landing page copy and layout affect site engagement? Do visitors return to your site? Have visitors been converting on your Google Analytics goals? Problem It Solves: If you are trying to build a following using organic social, you need to track followers as your KPI. This is a particularly strong KPI because you will likely need to sustain strong content over multiple months to build a following. 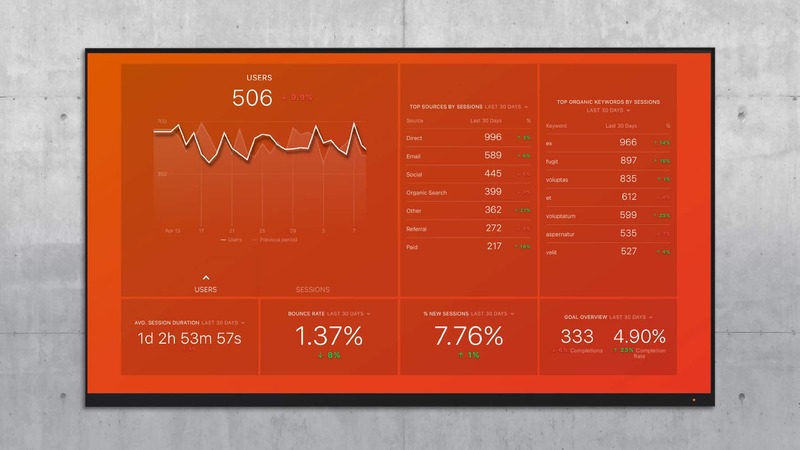 This dashboard measures the strength of your social media presence. It also uses likes and views data to determine if a larger following translates to more engagement on your page. How To Use It: You should identify 1-2 social networks that are worth your time and energy. There is no point in splitting your limited resources across 4 networks. 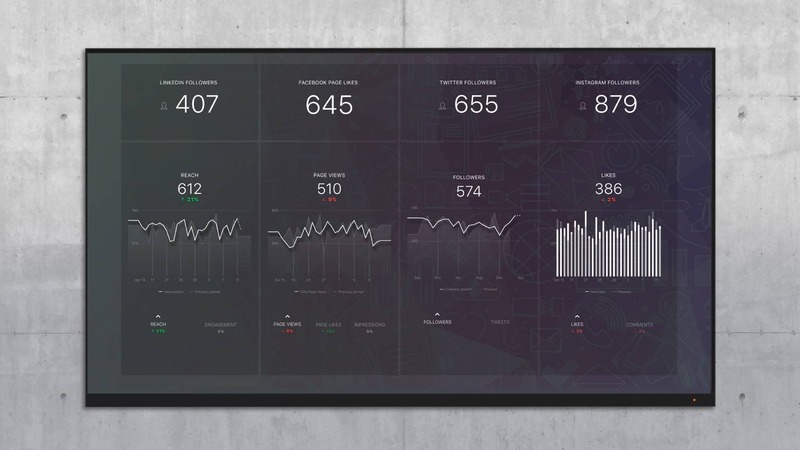 With this dashboard, you can identify your top networks by follower count and actual engagement on your profiles. You should have at least one clear winner with these two metrics. What are your daily follower counts? How many daily likes and comments do you receive? How do follower counts affect page engagement? 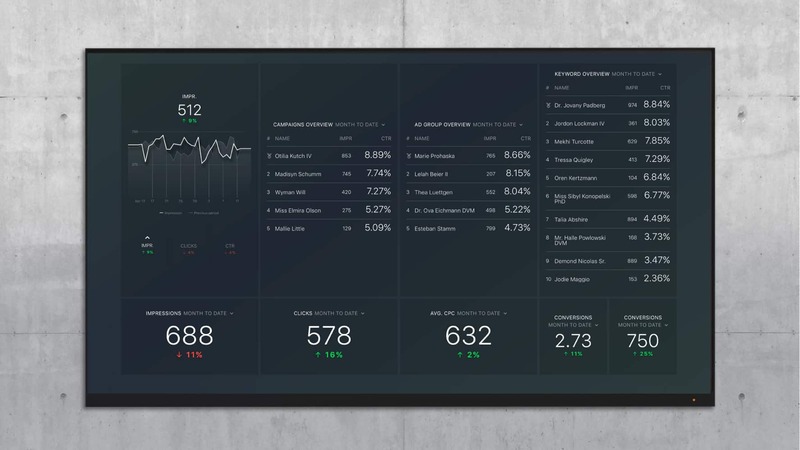 Problem It Solves: This dashboard allows you to monitor the impacts of your email marketing decisions. If you want to discover ways the content that is popular with your email list, this is a good place to start. Further, if you expect email to generate conversions, you should monitor key decisions like email send time, email content and impact of segmentation. These are key levers you can pull when you want to get more out of email as a channel. How To Use It: The left half focuses on growth/shrink of your entire audience. The right half focuses on the success of individual campaigns. Use metrics on the left half to see if your content successfully brings in subscribers. You can use the subscribe to unsubscribe ratio to see if they become exhausted over time by too many campaigns or irrelevant campaigns. On the right half, you can discover your lists where you are delivering the most popular content. You can also see a campaign-by-campaign breakdown of most-opened and clicked campaigns. How do your email campaigns perform in terms of sends, opens and clicks? What factors lead to subscribes and unsubscribes? 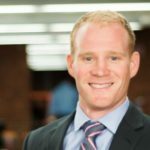 What causes your list to grow and shrink? Problem It Solves: Your AdWords KPIs are likely scattered across multiple screens in the AdWords user interface. This makes it challenging to communicate your success to clients. You can either take a series of screenshots with excessive data points or click into each screen and import to a spreadsheet. Instead, use this dashboard to analyze your success across multiple ad groups and keywords so you can find the most profitable way to run ads. How To Use It: The top charts break down in the same way AdWords is organized. You can analyze your success at each level, and make weekly decisions on how to further optimize each one. The bottom row has your overall KPIs- impressions, clicks, CPC and conversions. These are less specific but show overall success with investing the client’s money. How many impressions per day do you generate from advertising? What are click-through rates for each campaign? How many clicks do you generate for each keyword? How well do ads convert qualified traffic on a daily basis? Problem It Solves: Much like the AdWords dashboard above, this Facebook Ads dashboard allows you to consolidate important KPIs that are stuck on different screens in the Facebook Ads user interface. This template gives you a broad overview of spend, impressions, engagement and clicks on your ads. You can easily see trends across all the different factors that affect Facebook Ads profitability. How To Use It: The top 2 graphs give you a general overview of post visibility. 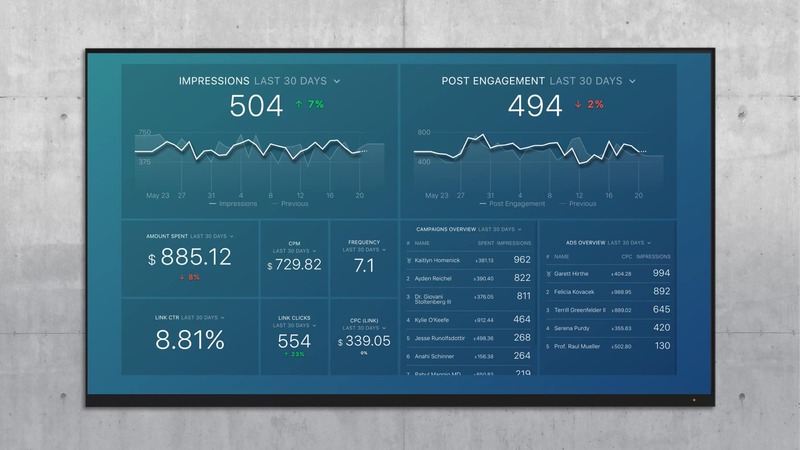 The metrics on the bottom left are your overall KPIs across all campaigns and ads. The tables in the bottom right give you an ad-by-ad and campaign-by-campaign breakdown. Which of your ads are most popular? Which campaigns have the highest ROI? Which posts create the most emotional reaction? How many people have been exposed to your brand over the last 30 days? Bing ads are coming soon. You probably don’t use all 5 of the services above with every client. And, you’ll probably need data from other tools for some clients too. We have multiple integrations in each category that can be combined in individual dashboards or strung together in a Powerpoint-like carousel. If you aren’t doing reporting for clients because it’s a lot of work that’s often not appreciated, try automating it and making it real-time instead. Position automated marketing reporting to clients as a positive for them, then roll it out. Goals: Make sure your client has numeric, time-bound goals. Then, use our Goals feature to prove that you are helping them get where they want to go. Alerts: If you want an early warning when something seems to be going wrong, use Alerts so that you don’t need to check manually. Annotations: If you want to make sure that everyone can understand trends in the data before your monthly meeting, use Annotations to share your analysis and recommendations. Once you get in the groove with alerts, goals and annotations, you can officially uninstall powerpoint or retire your Google Slides reporting templates. Ready? Start with an Agency Free Account. With this account, you can roll out 3 dashboards with data from up to 3 data sources for up to 10 clients. Apply to be a partner to be eligible for even more benefits, including heavily discounted pricing on our paid plans.